Despite our focus on slimming down and getting healthy, turns out that this year, more Americans are choosing to put their wallets on a diet instead. According to a survey from CompareCards.com, losing debt ranked above losing weight when it came to New Year’s resolutions. Given that credit card debt is at a record high, and fluctuating interest rates could send that debt even higher, this commitment to bringing debt down is a good thing. Losing debt is a bigger priority than losing weight. More than 4 in 10 Americans (41 percent) say losing debt is a top priority in the new year, while 34 percent said losing weight would be their primary focus. Millennials and Generation X are most focused on bringing down debt. Nearly half of millennials and Gen Xers (both at 47 percent) said debt was their top priority. Just 34 percent of boomers, 31 percent of the Silent Generation and 29 percent of Generation Z said the same. Men are less likely to make either weight loss or debt reduction a priority. A third of men (33 percent) said neither losing weight nor losing debt would be a top priority of theirs in 2019. That compares to just 19 percent of women. 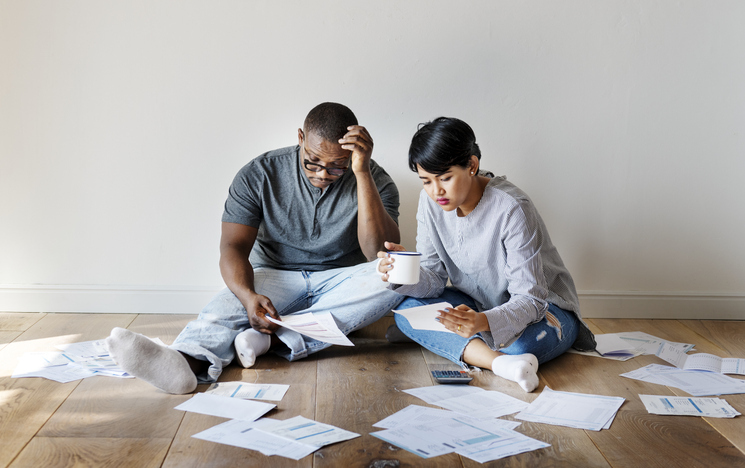 However, the most common response for both men (38 percent) and women (43 percent) was that losing debt would be their main priority. Wealthy Americans are most likely to prioritize weight loss. Nearly half (47 percent) of those with $100,000 or more in income said losing weight is a top priority, versus 27 percent who plan to prioritize losing debt. Among those with incomes of $75K and up, more said weight loss was a top priority. Among those with incomes of $75K or less, more said debt loss was a top priority. Americans are not willing to spend much money to be healthier. When asked "How much are you willing to spend to lose weight/be healthier after the holidays?" just 15 percent said they'd be open to spending more than $100, while 43 percent said they don't plan to change their health habits at all after the holidays. - Consider an introductory zero-percent balance transfer credit card to help reduce any high-interest card debt you're carrying. - Pay more than the minimum payment on credit cards. - Pay your highest interest debts first. - Use your tax refund to pay down debt.